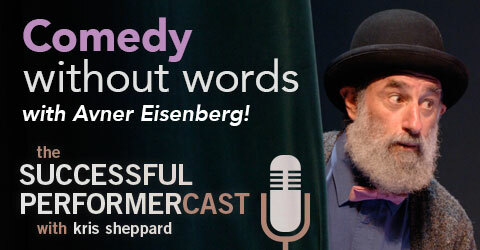 In this interview, Avner Eisenberg, who performs as Avner the Eccentric, talks about his career and his approach to performing silent comedy. 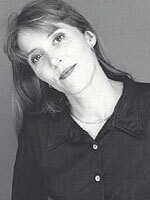 Other topics that come up are creating material appropriate for your character, being easy to work with, and where he finds inspiration. Avner is a clown, juggler, mime, sleight-of hand artist, and actor. He’s been featured on TV and as The Jewel in the Movie Jewel of the Nile. 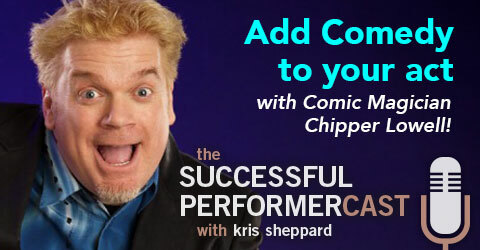 He’s been a featured performer at various comedy, magic, and theater festivals world-wide, where he’s won multiple awards like the Edinburgh Festival’s New Faces award, and special jury awards at many other notable festivals. In 2002 he was inducted into the International Clown Hall of Fame. In addition to this, Avner is an instructor in his craft, teaching on physical comedy and silent theater. In this interview, Alex Clark talks about how creating internet cartoons has helped him to grow and keep in touch with his audience when he’s not performing! He also talks about some of the ins and outs of working with an agent. With his show that contains jaw-dropping tricks, quick-witted comedy, and crazy antics, Alex Clark has traveled around the globe performing at university campuses, festivals, and on other stages. He’s earned two People’s Choice Awards and was voted Best Novelty Act and Fastest Rising Star in the college market. He’s a comedian that stands above the rest, but that’s probably because he’s up on a ladder! In this interview, Daniel Martin drops some serious knowledge on how he’s been able to make a living performing magic! 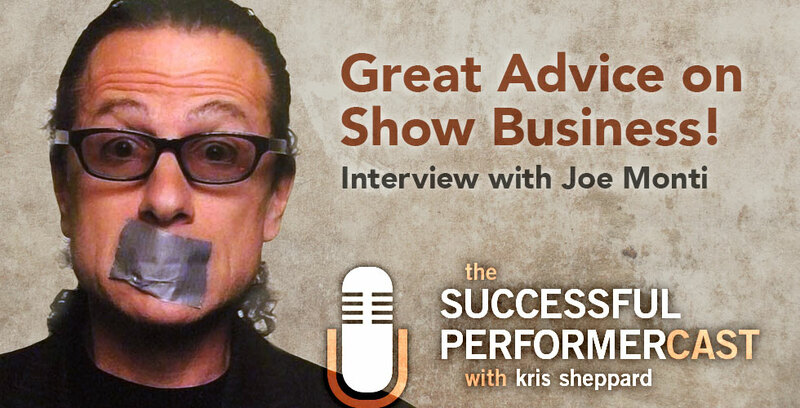 Among other things, we talk about overcoming fear, performing in restaurants, and how to find where you fit as an entertainer. Daniel Martin is a magician, escape artist, and comedian. He’s toured multiple shows around the country at colleges and university campuses, and his work has been featured on television networks like CBS, NBC, ESPN, and VH1. For two years in a row, he’s been ranked as one of the top 3 touring acts in the country by event producers and activity directors. He was selected as “Best Live Performer” in 2012, was four times nominated for “Entertainer of the Year” and three times nominated for “Best Male Performer” all by Campus Activities Magazine in which he’s also been featured. He has a highly interactive show that brings comedy and amazement alike. In this episode I talk to Zach Waldman! We cover a lot of great topics like pricing, adding value, and how Zach overcame debilitating anxiety and depression. This is a good listen. Zach Waldman is a magician and comedian in and around Los Angeles who caters to high end, corporate clients, and celebrities. He’s performed for the likes of Al Gore, Seth MacFarlane, Pete Carroll, Chris Rock, and Gene Wilder, not to mention his corporate clients which include Microsoft, BusinessWeek, Absolut, and Anheuser-Busch. 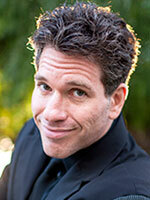 Zach is also a frequent performer at the world famous Magic Castle in Hollywood. More importantly, for us, Zach is a marketing expert with various products that help other entertainers book more gigs and make more money doing what they love. In this episode I talk to Brian Brushwood!!! We cover a lot of great topics like how he got on the Tonight Show as a guest, passive income, and what really happens when you botch a prediction on live radio! 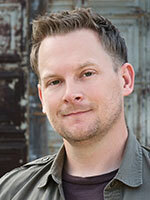 Brian Brushwood is a magician, TV host, Podcaster, author, and internet celebrity. Magic-wise, he’s performed his bizarre magic show around the country at colleges and universities. He’s the host of Discovery’s Scam School where he teaches all sorts of magic tricks and bar bets that you can use to score free drinks from your friends at the bar. He’s also authored six books on the subject of magic. Internet-wise, he’s been featured on a number of shows and podcasts like the NSFW show, Weird Things, Too long Didn’t Listen, Cord Killers, Night Attack, and he’s been a frequent guest on Leo Laporte’s show This Week in Tech. I guess you can say he’s sort of a big deal on the internet. As if that isn’t enough, he can most recently be seen on TV hosing Nat Geo’s Hacking the System. 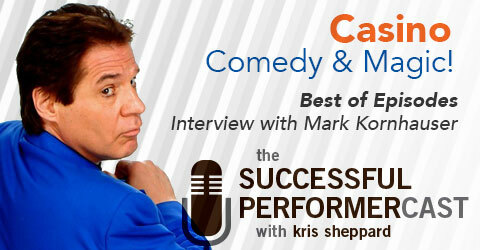 In this episode, I talk to comedian John Crist about his business and career in comedy. We touch on such topics as setting goals, taking risks, and failure. Enjoy! 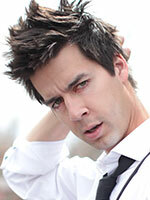 John Crist is an award-winning comedian from Denver, CO who’s edgy, yet clean comedy has taken him around the country and made him popular with people of all ages. He was a finalist in Comedy Central’s 2013 Up Next Comedy Competition, winner of the 2012 Denver Improv’s Got Laughs Competition, as well as the 2012 Loonees Comedy Competition. He’s opened for Seth Meyers and In 2013, he performed 275 shows at top comedy clubs like The Hollywood Improv, the Comedy Magic Club in Los Angeles, the Las Vegas Laugh Factory, The Punchline in Atlanta, and his home club, The Comedy Works in Denver. Add to this performing for Fortune 500 companies like Microsoft, GE, Lexus, and HP.